“There’s been an explosion (or should we call it striking growth?) in the number of fine percussionists in this country — largely due to the influence and inspiration of Nexus, the Toronto ensemble founded in 1971. Rob Power is a professor at Memorial University in St Johns, Newfoundland. Featured on the album along with Rob are John D.S. Adams, Kyle Andrews, Bill Brennan, Erin Donovan, Kevin Coady, Evan Harte, Andrew McCarthy, Whitney Rowe, Ed Squires and Phil Yetman. 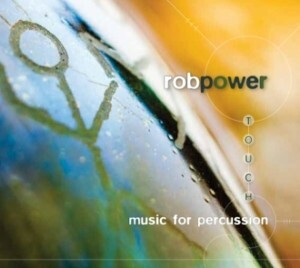 You can read the full review and get more information about Rob Power’s “Touch” at the Musical Toronto website.